Her specialty before had always been sunless men. Dark, punishing, punished men. Men full of ambition and bitterness. She had fled Chicago, in fact, from such a man. Oh, certainly, there were professional reasons for the move, too. The job she’s gotten at BU, her feeling that she needed to leave the city she’d always lived in in order for anything big to happen to her, the sense that she was mired in familiar patterns in her work. She was not without ambition herself. Last year, I absorbed Sue Miller’s The Senator’s Wife, a real page-turner, with rabid admiration and wonder. Her latest book, The Lake Shore Limited, focuses on another public obsession [and rightly so]: 9/11. I’ve read and enjoyed many novels about 9/11: Netherland and The Garden of Last Days among my favorites. Miller takes a curious, evocative approach in The Lake Shore Limited. The focus of the novel is a play about a terrorist attack on a train. Playwright Billy lost her lover, Gus, in 9/11. He was a passenger on one of the planes. Ironically, she had planned to move out and end the relationship. The characters in the novel– Billy, Rafe, the lead actor in the play, and Leslie, Gus’s sister– reflect on the play’s evocation of 9/11 as well as this theatrical catharsis. While not as gripping as I had hoped, Miller’s confident, thoughtful prose shines. 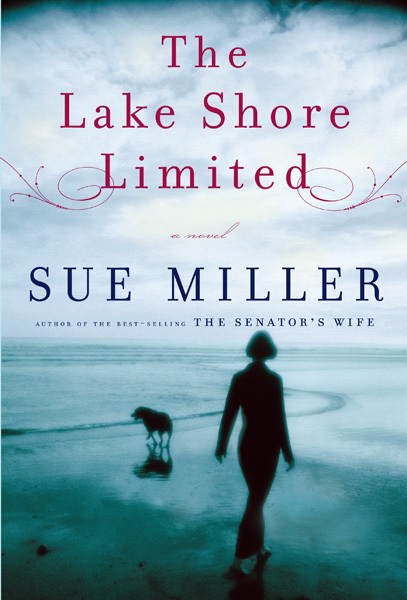 Sue Miller reads from The Lake Shore Limited at Brookline Booksmith tonight, May 19, 2010 at 7 pm. This entry was posted on May 19, 2010, 15:48 and is filed under Books. You can follow any responses to this entry through RSS 2.0. Both comments and pings are currently closed.